Like a fire-breathing rally car, but without the fire. We like a Subaru here at Not 2 Grand. Take away all the WRX silliness, the reputation for being the car that noisily speeds around council estates at 3am, the Monster Energy stickers and the WOBWOBs, and what you have is a range of cars that is actually quite pleasant. Subaru doesn’t just make cars to throw at the rally stages. It also makes normal, subdued, reliable, comfy, pleasant cars. A case in point would be this, the late-model Subaru Impreza. No wings, no gold wheels, no boost gauge. Just a nice family car. And all for less than a couple of grand. Delightful. 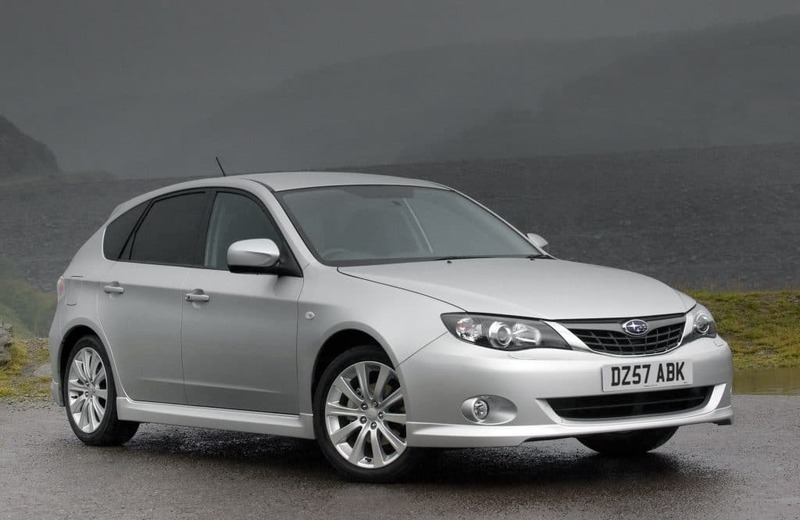 What you’re looking at there is the third-generation Subaru Impreza. Namely a 2.0RX. 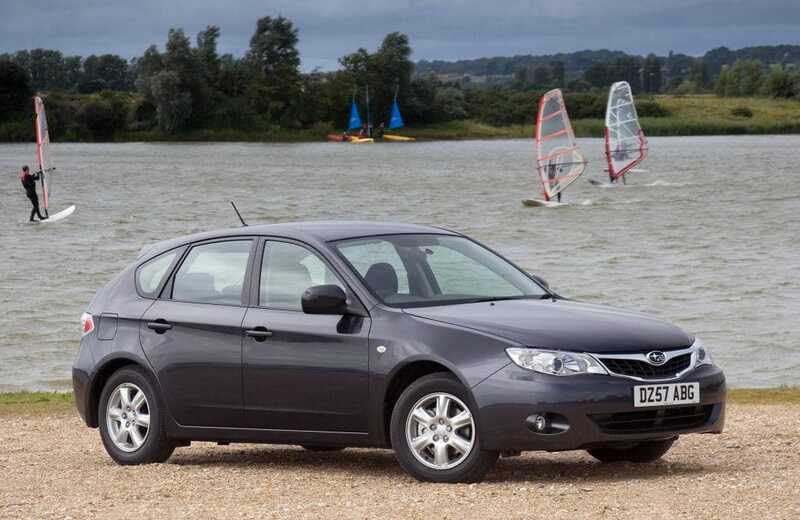 You’ll note that it’s different from all models before it by being hatchback. 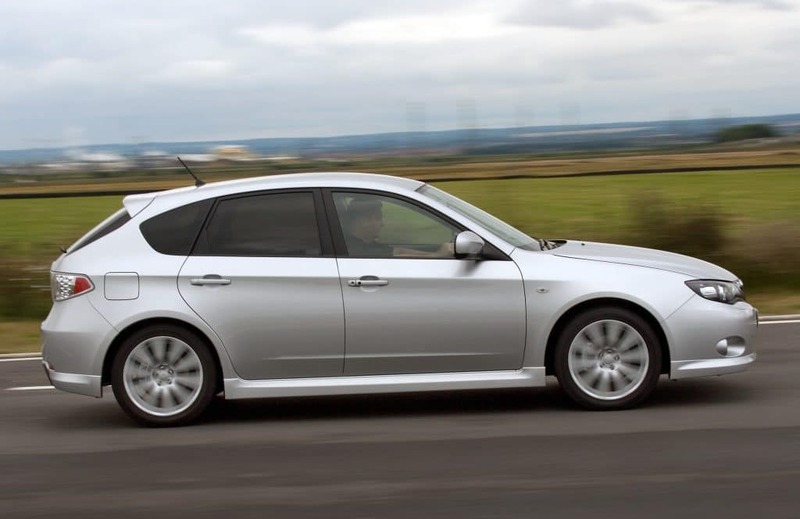 That’s because by 2007, when this model was released, Subaru finally figured out that here in Europe we don’t flock to the traditional three-box saloon like they do in the rest of the world. We like a hatchback. We’re busy people and we have things to move like large dogs, washing machines and a weekly shop from Aldi. A saloon simply won’t do. Subaru thought – and we don’t really blame them – that by developing a hatchback version of its mid-size car, it would earn them sales from the Focus, Golf and Astra crowd. You can’t really argue with the logic. Sadly though, consumers couldn’t really argue with the fact the Focus, Golf and Astra were all far better. They were just better resolved cars, by which we mean the overall fit and finish was better. The poor Impreza couldn’t quite match them. It was by no means a bad car, it was just a victim of not fully understanding how far on the competition had moved in terms of offering a product with a premium feel. 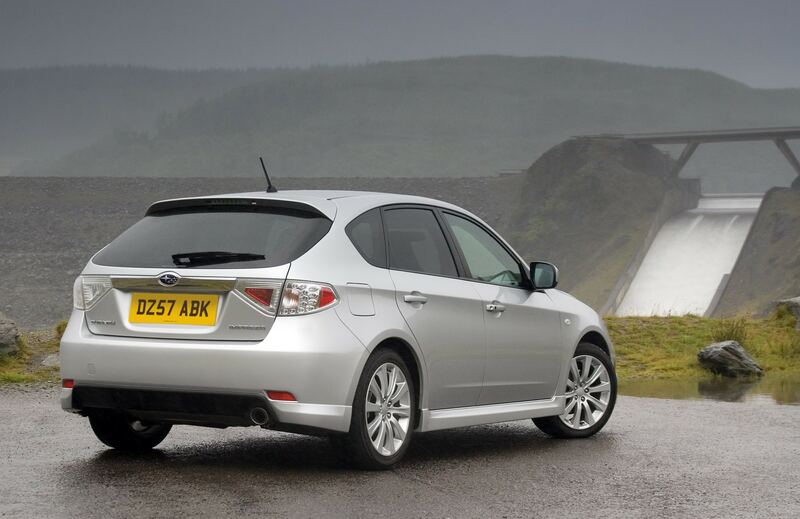 To quote the Parker’s review, the Impreza felt like “it was a generation behind”. Time, however, and the kind of person who buys a normal Subaru compared to those who buy an Astra, have been kind. There’s a reason we’ve never posted about a normal Golf or Astra. It’s because they’re all battered and filled with child vomit and dog fluff. A 2007 Subaru Impreza isn’t. They were bought by people called Malcolm and Susan, and they led easy, abuse-free lives. 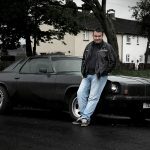 So, if you buy one, you’re getting a belting car. So what if the dash looks a bit dated compared to a Golf of the same age? At least the air vents aren’t full of Smarties. And all the buttons work. And it won’t be sticky. These are important things when buying a used car. The other Subaru bonus is that they didn’t sell in massive numbers because the competition was so vast. And the ubiquity of the competitor cars meant that the value of the Impreza tumbled. Hence it being here on our little website. For Subaru it was all a terrible shame. But its loss in the showroom is our decade-later gain. But what does it translate to in terms of being a car on your driveway? What do you get? Well, the silver car pictured is a 2.0RX. The 2.0 in question is still a flat-four ‘boxer’ engine, so you get something that sounds pretty cool, or like a Pinto with a HT lead missing, your call. And despite its odd formation, it’s actually a wonderfully reliable engine. Remember, the WRX uses the same lump, but with a bloody great turbo bolted to it. Here though, you’re taking away all the stress of the turbo, so even if you drive like your head is alight, it still won’t complain. The same can be said of the 1.5 version, though with just over 100bhp, it’s no speed wagon. But that’s not why you’re buying it. Okay, so one concession is the fact these engines aren’t as kind to the environment, given that emissions are high compared to rivals and the fuel economy (expect mid 30s) isn’t amazing. But hey, it’s not the end of the world. Especially when you consider how reliable the Impreza is. 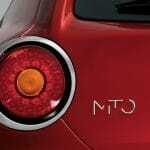 There are no reported major failings with the non-turbo cars. Ever. 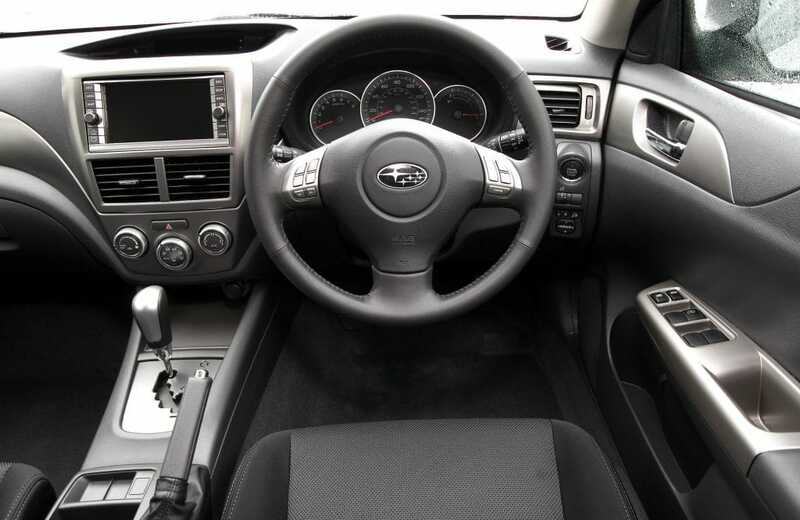 Then there’s the way the Impreza drives. So your 2.0RX or 1.5R won’t have the ghost of McRae in the glovebox, but that doesn’t mean the car is crap to drive. Quite the opposite in fact. You get Subaru’s clever all-wheel drive system across the range, featuring a low-ratio ‘box. This translates to a car that has superb amounts of grip and on-road composure. You can really throw it about before you have to worry about being in a ditch. Backwards. Upside down. It’s a genuinely fun car to drive, even in the absence of ‘555’ graphics. Get one with the manual five-speed ‘box and you’ll have a real driver’s car. Though if you only have one leg, or you’re lazy, there’s is a four-speed auto, too. And it’s safe. Professional metal misaligners, EuroNCAP, shot one at wall and gave its smashed face four out of five stars as thanks. It’s got ABS, front, side and curtain airbags, Isofix points and traction control. So you’ll be fine if you do go ‘six left, cut’. So there you go, the non-yob Impreza. It’s safe, it’s practical, it’s incredibly reliable and it’s cheap. What more could you want from your sub-two grand car? Okay, so the engine is weird and the looks may take some getting used to, but remember, it’s good to be different. It’s just a shame for Subaru that the car-buying masses didn’t realise that back in 2007. But hey, it’s our gain now.